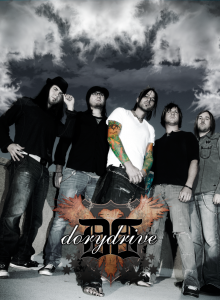 Dorydrive will be playing on the Mainstage at RockFest in Cadott,WI on July 21st! The band will share the stage with Iron Maiden, Alice Cooper, Papa Roach, Sevendust and Adelitas Way. Show starts at Noon! Dorydrive “Calling On Angels” Available World Wide Now!